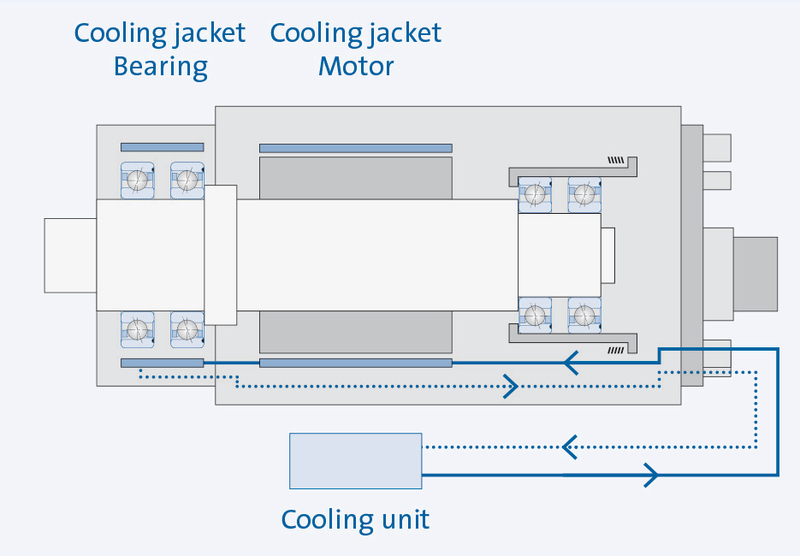 An efficient liquid cooling system keeps the motor and bearing temperature at a permanent, low and therefore safe operating range. GMN high-speed spindles are equipped with an effective liquid cooling system. 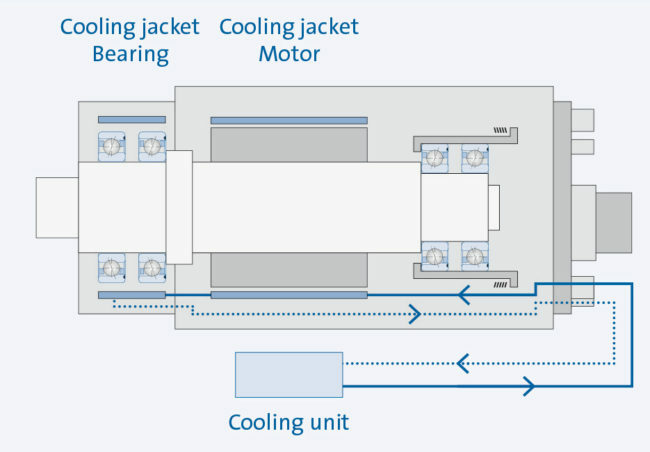 A cooling sleeve in the area of the shaft bearing as well as at the spindle motor minimize increases in operating temperature, which can be caused by bearing friction as well as motor losses. 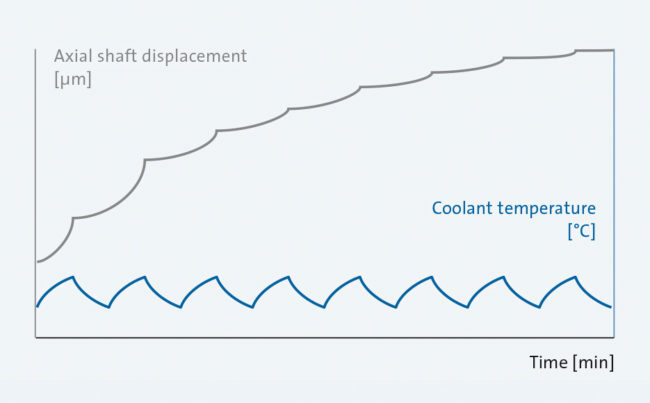 The reduction in operation-related heat development, increases the detachable spindle performance and provides maximum productivity as well as high machining quality. 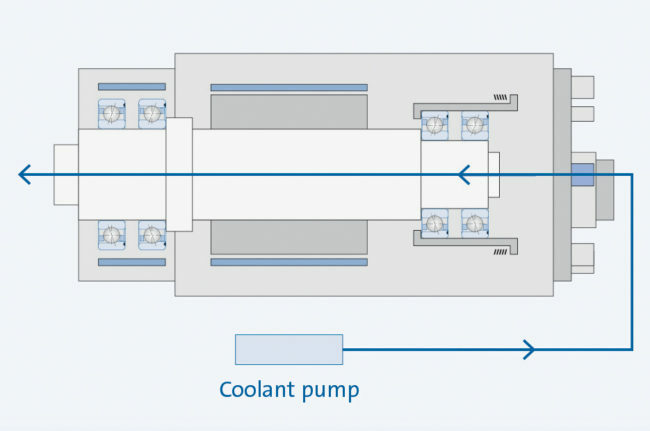 The maximum detachable performance of the spindle is achieved in a specified coolant temperature range of 20 °C to 25 °C. The actually available performance depends upon coolant temperature and from the medium used. 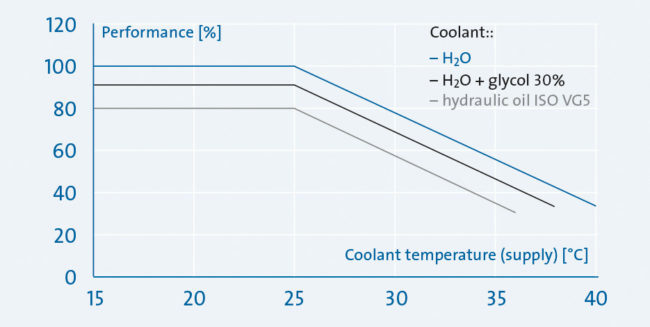 Low coolant medium temperature differences reduce axial shaft displacement and improve machining precision. GMN cooling systems with high control precision are available as accessories. 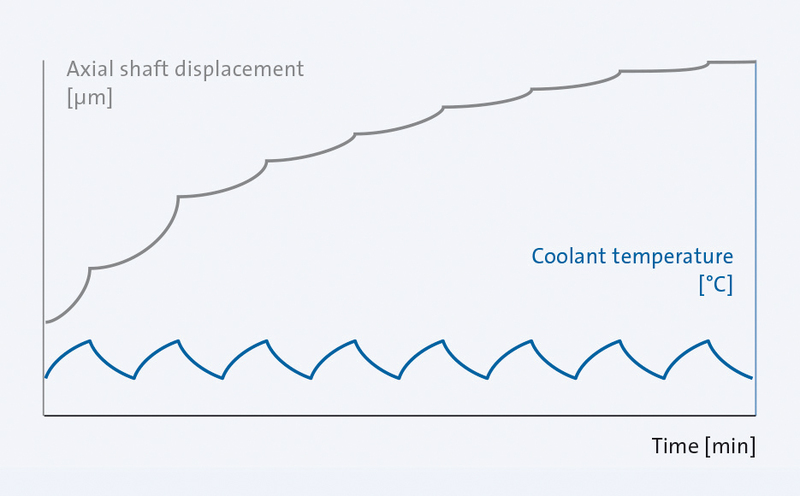 The optional “coolant supplied through the spindle shaft” unit provides a significant improvement in tool cooling, when machining displaced bores and blind bores.